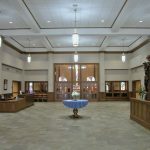 WKWW Architects has provided new designs for Worship as well as renovations, additions, and expansions to existing Worship spaces for over 60 years. These designs include seating for small groups in chapels to seating for large congregations in church sanctuaries. 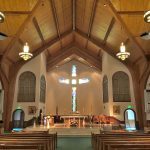 WKWW Architects incorporates the latest technology in Worship designs including the most advanced audio visual systems, theatrical and LED lighting, and television broadcast capabilities. 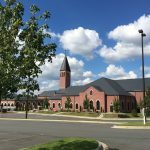 This 28,000 square foot building completes the master plan for the Saint Philip Neri Parish in the fast growing area of Fort Mill. The new Church seats 1300 in the worship space and has a large Gathering Area for welcoming and fellowship. The glulam wood structure and stained oak trim creates a warm and inviting room. 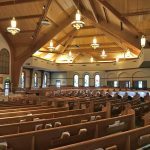 There is a large dedicated area for the choir, sound console, and audio visual system with suspended retractable projection screens. 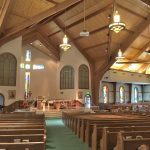 All the arched windows in the worship space are filled with colorful stained glass and the large stained glass cross behind the Sanctuary is patterned after an existing one in the Parish Hall. 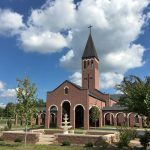 There is a Day Chapel and an Adoration Chapel. The Family Room has an adjacent kitchen and restroom and is also used for weddings and funerals. The Lower Level has a large choir practice room with stepped risers and five large meeting rooms. The exterior red colored CMU block matches the Lou Kuchinic Ministries Building. 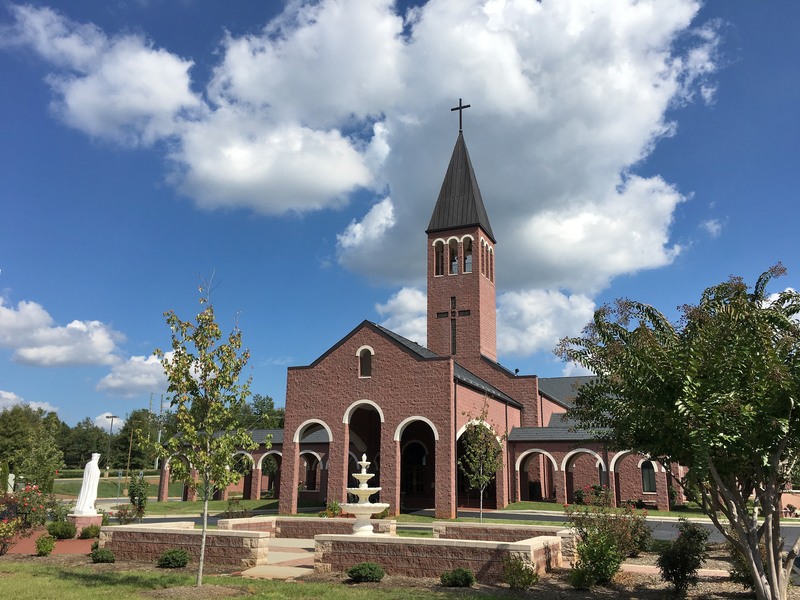 The 100 foot tall bell tower can be seen from Interstate 77 and holds three working bells. The tall covered drive provides good cover at the main entrance and a covered walk connects to the existing Parish Hall.